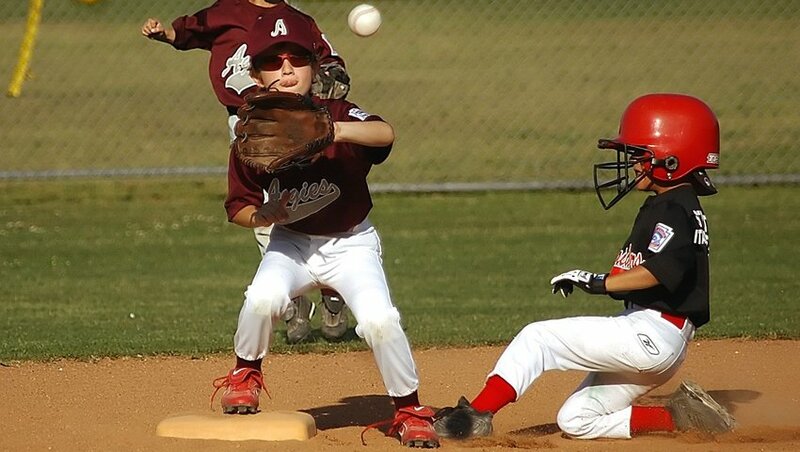 What do you remember about your first experiences in youth sports? What are your best memories? What are your worst? When we view sports through the eyes of the children, we make the experience about them, not us. With those thoughts in mind, here are five ways you can help your preteen son or daughter get the best out of the youth sports experience. Don’t obsess over the outcomes of the games. Forget about the team’s record. Years from now, few will remember their 4th, 5th, or 6th-grade travel team record. At this age, “winning” is not about game scores. It’s about learning fundamentals, forming good habits and developing social, emotional and sport-specific skills that will help each player going forward. Prioritizing won/loss records ahead of player development doesn’t make long-term sense. Like team records, comparative statistics can be misleading. Kids don’t all grow at the same time or at the same rate. Anybody can be big or small for their age, ahead or behind the curve. At this age, early-maturing kids stand out from their peers. They may be bigger, stronger, faster, or better coordinated. These early developers dominate. But, there is no assurance that they will maintain that advantage in future years. And, the late-bloomers, the ones who are behind now, shouldn’t believe that their peers will always be better in sports. We make a mistake when we project the athletic future for preteen kids, especially the ones who have not yet matured physically. Instead of the records and stats, focus on the path to your child’s success. Achievement is a by-product of preparation, practice and a positive mindset. Encourage your son or daughter to be intentional in everything they do. To have a purpose and a plan. To set goals. Write them down. And, track their progress. Encourage them to stay positive and channel their frustrations into their efforts to improve. This focused approach builds a determination to achieve and helps young athletes develop perseverance. The late John Wooden, the long-time UCLA basketball coach, is regarded as one of the greatest coaches of all time. Rather than focus on being better than other players, he wanted his players to learn from others, and to compete with themselves. It was all about self-improvement. “Learn to do something today, that you couldn’t do yesterday”, is what he told them. The emphasis on self-improvement is a perfect approach with young athletes. It keeps early developers focused on improvement rather than letting them rely on their current physical advantage. And, it encourages slower-developing athletes to concentrate on self-improvement, rather than to become discouraged by comparisons with their peers. Are they forming Good Habits? Are they Competing Honorably and Responsibly? Are they a Positive Influence on Their Team at All Times? Do they Channel Their Emotions in Positive Ways? Do they Bring the Best Out in Others? Most children develop best in a positive environment in which they are: having fun, acquiring new skills, learning to play responsibly, and feel valued as a member of a team. These factors engage and motivate them. That is what keeps kids wanting to return the next year or season. All of us are role models. Each of us can be a positive force in our children’s lives by modeling the behaviors we want to see in them. Let’s help our kids develop through their team sports experience: the intention, the courage, and the reasoning skills to make responsible choices under pressure. Thanks, John. I appreciate your support of Even Field’s mission and very much admire your principled approach to coaching high school athletes. I do like that you pointed out that emphasizing self-improvement can help young athletes to improve themselves continuously. Both of my sons are dreaming of becoming professional soccer players. They said that they wanted to make sure that they will be motivated to see how they are getting better as they practice, so I’ll make sure to shop for record boards where they can track their scores.